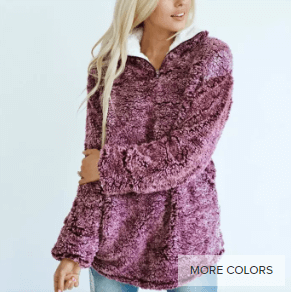 This sherpa pullover is a dream come true! Picture wearing a soft, warm blanket while looking stylish, on trend, and super cute! Yep, that’s what wearing this best selling pullover is like! Don’t miss out as these are sure to sell quickly!